It can be very emotionally and financially charging when your home suffers fire, smoke, water, mould or a biohazard damages. Most families can’t handle the impact and disruption of daily life. PuroClean understands these concerns and can come to your home’s rescue at any time – 24/7, seven days a week. 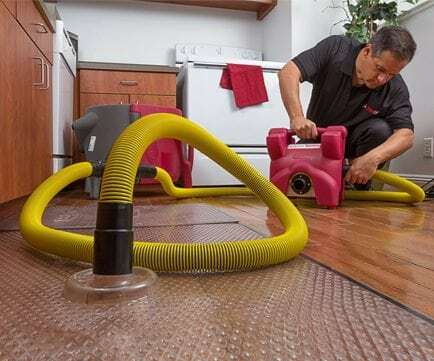 At PuroClean, we make every effort to minimize the damage caused by unexpected disasters and are committed to bring your property to pre-loss condition in a timely fashion. Because of our urgent, efficient and capable care we provide to property owners in mergencies, we have rightfully gained the reputation as “The Paramedics of Property Damage™”. Our professionals are trained to restore your property back to normal, as well as your sense of security, so that you can get back to your normal life. Mould can lead to serious health problems including chronic inflammatory response syndrome. In any property damage situation, we are highly focused on providing the highest quality services with speed, professionalism, and respect. Another advantage for using PuroClean’s comprehensive services is that we’ll handle the job from start to finish, bringing you significant claim savings and reducing stress when going through such a difficult time. Property remediation is our specialty and we follow a clear plan of action in each emergency situation we face, utilizing the latest techniques and procedures throughout the restoration process while providing unparalleled service and response. This is our promise to our clients — PuroClean is driven to provide an unmatched service experience, delivering quick, professional, accurate and ethical service, resulting in peace of mind for all concerned. When PuroClean handles the job from start to finish, you could enjoy significant claims savings, as well as the peace of mind that your property is in expert hands. As specialists in remediation, first we salvage everything that can be saved, then our construction specialists make all the necessary post-mitigation repairs.